Bushfires are a natural part of the Australian environment. In fact, certain species of plant and animal life actually rely on Australia’s natural bushfires to help clear brush, spread seeds, and improve soil fertility. However, not all species benefit from the annual fires, and humans are at particularly high risk. In 2009, a heatwave in south-eastern Australia contributed to a series of bushfires which burnt for over a month, resulting in the death of 173 people, and causing $4.4 billion in damages 1. But just because bushfires are a natural part of life in certain states, it doesn’t necessarily mean that the destruction and danger that is commonly associated with them is inevitable. By understanding the facts associated with bushfires, and recognizing what not to do in certain situations, you’ll be able to enjoy Australia’s endless summer, without fear of getting stuck in a fire. Here are nine interesting Australian bushfire facts, as well as some insight into how these facts can help keep you safe. About 90% of bushfires are a direct result human action (either deliberate or otherwise) 2. Even before humans lived in Australia, bushfires were a natural part of the environment, due to dry vegetation and errant lightning strikes. However, most bushfires that occur today are a direct result of human action. Those who don’t take precautions when dealing with potential fire hazards—such as cigarettes, campfires, or vehicles—may discover too late that their carelessness could cost others their property or even their lives. It is believed that as much as 50 per cent of bushfires are a result of deliberate arson 3. It’s an unfortunate fact that the number of arson-related fires in Australia has risen in recent years. Those who live in high-danger areas should remain vigilant, and report any suspicious activity to local authorities. 24 per cent of bushfires are believed to be caused by children 2. Children often have only a limited understanding of the consequences of their actions. This means that those that get their hands on matches or other potentially fire-hazardous materials can quickly create dangerous situations. By failing to educate children about the dangers of bushfires, and by allowing them to play in high-risk areas without adult supervision, one significantly increases the risk of child-caused fires. Average daily temperatures in Australia have increased by 0.9% since 1910 4. Since the 1950s, every decade has seen an increase in average temperatures over the previous decade4. It is important to be aware of the changes that are occurring in Australia as a result of global climate change. As average temperatures increase, the risk associated with bushfires increases as well. This means that it is important to not only prepare yourself for present hazards, but to also prepare for increased hazards in the years to come. The annual economic cost of bushfires could triple by the year 2050, reaching an estimated $23 billion, due to human-caused global climate change 5. Global climate change is having a significant impact on the already-dry climate of Australia, and in the years to come, that impact could necessitate serious spending in order to prevent, contain, and repair damage associated with bushfires. Those who fail to take personal responsibility for carbon emissions—such as those produced by vehicles and through traditional coal and fossil-fuel power plants—are only adding to a problem that will soon affect the entire country. Australia is the driest of all of the inhabited continents 6. Although fire is a danger throughout the entire world, Australia is especially vulnerable to fire damage, due to it’s low average yearly rainfall. This is a result of its overall flat shape, as well as its location in regards to prevailing winds and ocean currents. Inhabitants of Australia need to recognise that bushfire danger will always be a part of life, and that failing to prepare for these eventualities could result in very serious risks to one’s property and one’s safety. It generally takes approximately five to fifteen minutes for a firefront to pass through a property 7. As bushfires approach, evacuation alerts will usually be sent out to those who live in the path of the flames. However for those who are trapped in their homes, the Department of Fire and Emergency Services suggests that they wear protective clothing to help insulate themselves from radiative heat, while seeking shelter from both the smoke and the fire itself. Also, while the fire front is passing, homeowners should be on the lookout for spot fires inside the home. Modern bushfires are twenty times more deadly and eighty times more destructive than those of a century ago8. The risks associated with bushfires are increasing, but by taking precautions and educating oneself, you can reduce the likelihood of being affected. Because, when it comes to bushfires, education is the best defence. Between one-third and one-half of all vegetation fires attended by fire services in any state or territory occur in and around the capital city, with the greatest concentrations in the broad zone along the urban interface9. Although fire danger exists throughout the country, especially during the dryer spring and summer months, there are certain areas that are at a much higher risk of being involved in a bushfire. Those who live in these areas should be aware of potential hazards around the home, and take the necessary precautions suggested by fire service agencies to help minimise the risk to their own properties. The first step towards protecting your property against bush fires is vigilance. By recognizing and being aware of potential threats, and by keeping up-to-date with reports from local fire services, you’ll be able to drastically decrease the likelihood of experiencing fire-related loss. Here are a few tips from the South Australian Country Fire Service on how to best guard your home on high-risk days. Identify hazards. There are a number of ways that a bushfire might begin to burn on your property. 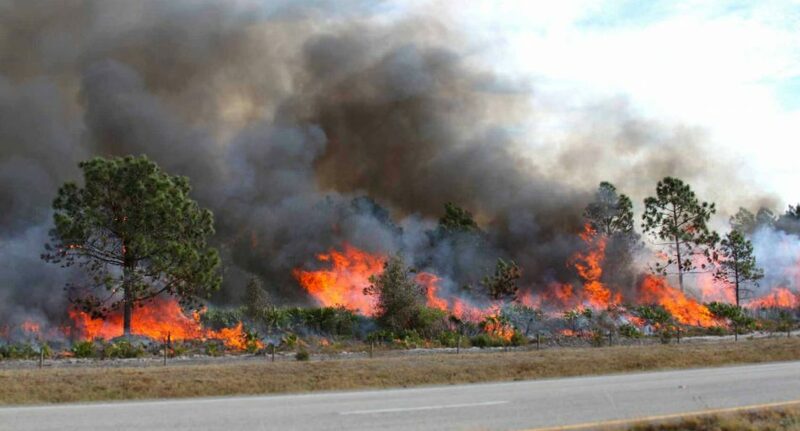 Winds can carry small sparks and embers, or even larger pieces of burning debris, across large distances. Small ‘spot fires’ may begin to burn on your property long before the fire front reaches you. Take a few moments to walk around the perimeter of your home, and make note of any materials (vegetation, woodpiles, decks, etc.) that might be flammable enough to catch fire when exposed to airborne embers. Consider metal roofing. Wooden roofs are not only more flammable, but they also generally offer more gaps in which sparks can take hold. Metal roofing offers a less-flammable, more secure alternative. Don’t forget about underfloor areas. Ignition points that develop underneath the house may go unnoticed until it is too late. Be sure to block off any underfloor areas so as to prevent sparks and embers from getting inside. Fill in any gaps. Small sparks that get into gaps in the walls, roofs, floors, and vents are much more likely to result in a house fire. Block all external gaps, and place metal fly-wire mesh over your windows and external vent covers. You should also trim back any trees or other living vegetation, so that none are closer than two metres from your home. If you live on a slope, you may need to clear out a larger area. Keep roof gutters and valleys clean. Leaves and other debris that collect in roof gutters often get overlooked, but can easily catch fire if exposed to flying embers. Regularly clean them out. Create fuel breaks. If possible, landscape your property so that it features regular fuel breaks, such as wide paths, paved driveways, ponds, etc. This will help slow a fire’s advance towards your home. Keep flammable chemicals stored securely away from your home. Petrol and other chemicals that are often found on a homeowner’s property can be very dangerous in the event of a bushfire. Always be sure to store these chemical in a secure location that is as far away from your home as possible. Prune away low hanging branches. Low branches can easily catch fire, spreading flame to the upper canopy. Protect your trees by keeping their low-hanging branches trimmed away. Install a heat shield. The radiant heat from a fire can be just as likely to ignite flammable debris as a fire itself. A solid fence surrounding your property can help block on-coming heat, and prevent ignition points from springing up. Have long hoses on hand. For small fires, a quick spray with the garden hose may be enough to keep things from getting out of hand. Of course, if your hoses aren’t able to reach fires as they break out, then they won’t be able to do you much good. Invest in several long hoses, and make sure that they are easily accessible. Keep flammable vegetation from growing back. Once you’ve cleared away any undergrowth, consider using herbicide treatments to prevent growth of future flammable vegetation. Use your sprinkler system. As a bushfire approaches, activate your sprinkler system and allow it to run for the duration of the emergency. The added moisture may help prevent ignition points from developing on your property. Understand your insurance policy, and make sure it is sufficient. Be aware of what is and is not covered, and speak with your insurance provider if you feel as though you need to increase your coverage. If you’re worried about having enough insurance to cover a worst-case scenario, speak with a builder and find out what it would cost to completely rebuild your property from the ground up. Once you have an estimate, increase your policy so that the sum insured can cover this expense. This is a preventative measure that can only be taken before the emergency itself arises, so don’t put it off until later. Know the fire danger rating in your state/territory. Not all states or territories are at the same risk of experiencing bushfires on any given day. By visiting the Australian Government Bureau of Meteorology, you can get up-to-the-day information regarding current conditions. Be proactive. Although local authorities often send out alerts to contact those whose property might be at risk, you should never rely solely on these alerts. It is your responsibility to remain well informed, so make it a habit to check local conditions on a daily basis. Check with local regulations. If you live in a high-risk area, your local government may have some very specific fire break requirements. Familiarise yourself with these local regulations, and make sure that your property is in compliance. Keep emergency supplies on hand. In the event of a bushfire, your home may lose access to water and power for an extended period of time. Be sure to have enough emergency supplies (water, food, blankets, medicine, first aid supplies, and anything else you might need) on hand. Also, consider investing in an emergency radio with a battery power source, so that you can listen to emergency reports and contact assistance if necessary. What necessary precautions and training each member of the family should take, and what responsibilities everyone will have during a ‘stay and defend’ scenario. What specific valuables and supplies should be brought along during an evacuation, and who should be responsible for each item. Where to meet in the event that any member of the family gets separated during the emergency. How to use basic first aid. Which parts of your property are most at risk, and how to reduce the risk that they pose in the event of a bushfire. How to contact emergency services, and what to do in the event that water, power, and/or telephones become unavailable during the emergency. In Australia, bushfires are simply a part of life. However, you can greatly reduce the risk that they pose to you, your family, and your property, simply by understanding the facts, creating a plan, preparing your home, and remaining vigilant. After all, bushfires will always be a danger to those who live near bushlands, but exactly how much of a danger depends on you. Make sure you have a home and contents insurance policy in place in case the worst does happen.